The industrial hygiene professionals at Clark Seif Clark (CSC) identify respirable exposure risks to protect workers and keep companies in compliance. The final rule is being implemented by OSHA in an effort to curb lung cancer, silicosis, chronic obstructive pulmonary disease (COPD) and kidney disease that can occur in workers exposed to respirable crystalline silica. 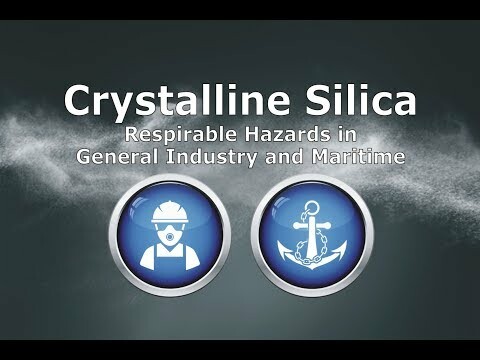 On June 23rd, companies and institutions categorized as maritime or general industry will be subject to enforcement of a new final rule from the Occupational Safety and Health Administration (OSHA) to limit worker exposures to respirable crystalline silica. These enforcement actions follow the implementation of a similar final rule for construction companies that went into effect last year. The final rule is being implemented by OSHA in an effort to curb lung cancer, silicosis, chronic obstructive pulmonary disease (COPD) and kidney disease that can occur in workers exposed to respirable crystalline silica. The agency currently believes that approximately 295,000 workers are exposed to respirable crystalline silica in over 75,000 general industry and maritime workplaces. Over 100,000 of these general industry and maritime workers are exposed to silica levels that exceed the new permissible exposure limit (PEL) reports OSHA. To learn more about this or other occupational, environmental, air quality, health and safety testing services, please visit www.csceng.com, email csc@csceng.com or call (800) 807-1118. CSC was established in 1989 to help clients in both public and private sectors address indoor air quality, occupational, environmental, and health and safety (EH&S) issues. CSC is a leading provider of these services with multiple offices along the western seaboard and southwest. The company believes in science-based protocols and has a strong background in engineering, making them the preferred environmental consultants to industrial clients, healthcare facilities, architects, schools, builders, contractors, developers and real estate professionals.